While Boost has been Adidas' bread and butter over the last few years, the brand with three stripes has still played around with different midsole technologies. One of those offerings comes in a very futuristic form thanks to wonders of 4D printing. Four-dimensional printing employs the exact same techniques as 3D printing, except the key differences is that 4D-printed objects have the malleability to be transformed. This malleability is key, as it allows Adidas to try to recreate the effect of Boost but with different materials. If you were to examine any of Adidas' 4D models, you would notice the peculiar, yet aesthetically pleasing look that makes up the 4D printed midsoles. One of the models that have been birthed from this new midsole technology, is the Adidas Alphaedge 4D. The shoe's upper has a primeknit makeup that carries a blend of the look of the NMD and the UltraBoost. The shoe was initially released in 2018 in fairly low quantities, but according to Sneaker News, it will be receiving a restock. Those who missed out on the sneaker the first time will have a second chance to cop on Thursday, March 28th. 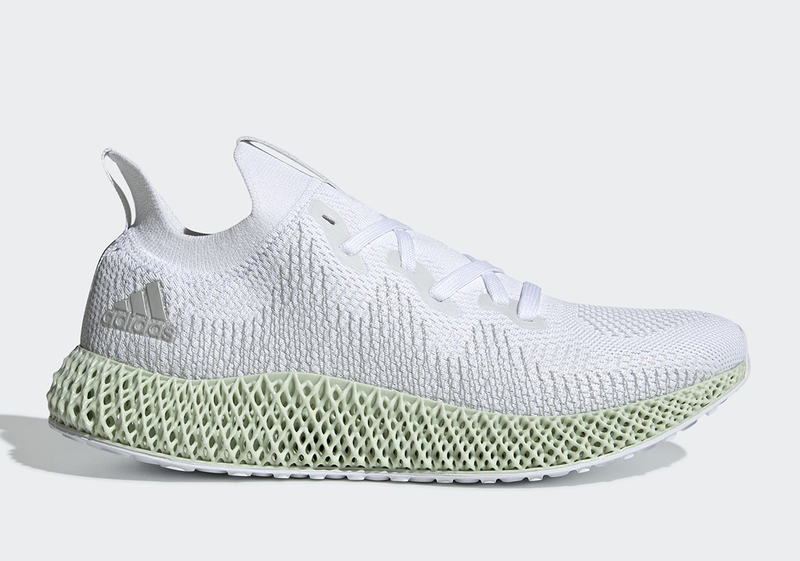 With the 4D technology in mind, it's not a cheap shoe as it will retail for $300 USD. Will you be copping these?